Ms. Ballard is a native of El Paso, Texas. She earned her bachelor of music in piano performance at Northwestern University, where she studied with Donald Isaak. She is an accomplished music director, vocal coach and pianist. Ms. Ballard is the accompanist for our musical theatre courses and performing arts scholarship competition, as well as the musical director for the new University of Lynchburg Musical Theatre Troupe. She teaches both theatre and music students how musical accompaniment informs singing, conveys composer and lyricist intentions, and demonstrates appropriate vocal technique and style in audition and performance settings. 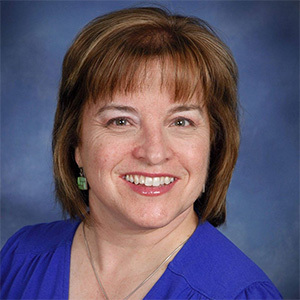 Ms. Ballard has musical directed a number of productions including Damn Yankees, Annie Get Your Gun, A Funny Thing Happened on the Way to the Forum, Once Upon a Mattress and Kiss Me Kate. She regularly prepares and accompanies students for National Association of Teachers of Singing competitions. Ms. Ballard maintains a private piano studio, and has served as an accompanist for recitals for many universities and operatic societies, as well as directing children’s and adult choirs at churches in New York, New Hampshire, and Virginia. Ms. Ballard lives in Forest with her husband, Ken.